Okay, as a fun and fresh design agency, we don’t take things very seriously very often, but there is one thing we are always serious about, and that’s branding. Branding is everything, and much more than just a logo. In fact, without the right branding in place, your business is practically naked with only a logo to cover your dignity! Think of branding and identity as a full visual experience. Your clothes. A tire. A broken light bulb. It’s usually pretty obvious when these things need changing, but what about your brand? How do you know when your branding is a little flat, out of style or just not working for you at all? Here at ClientRocket, we understand how to help you get the best from your branding. Think print design is dead? Think again! It’s alive and kicking, and one of the best ways you can promote your brand, products and services. From packaging to catalogs and flyers to magazines, print is one of the most vibrant, engaging and tangible marketing methods you can use no matter what the size or type of your business. 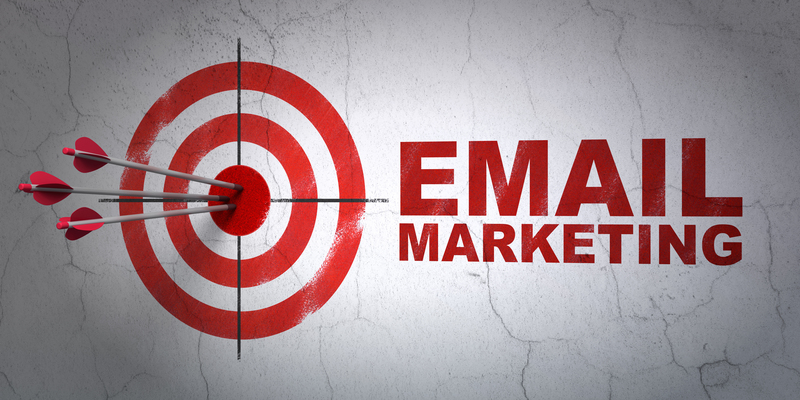 Want to know the secret of good email marketing? It’s not just a one-shot event. It’s all about making meaningful connections, building relationships, and reaching out to your target audience without spamming the hell out of them. These days consumers are smart. If they detect the merest hint of spam, you’re toast! Here at ClientRocket, we’re experts in helping our clients to achieve the best returns from their email marketing campaigns. If you don’t know your PPC from your Facebook ads, you could be missing out on one of the biggest marketing opportunities around. Perhaps you’ve given paid online advertising a try, but it just didn’t work. Perhaps you’re a little dubious or not sure how to make it work. It’s time to ditch the scattergun approach, the try it to see, and the uncertainty. Wouldn’t it be great if you had total control of the content of your website, and you could publish pages, fresh articles, company news and more without ever needing to involve a third party or write a single line of code? Well, with our website content management solutions, it’s a piece of cake! Our content management systems offer robust, secure and effortless content management that you control. Everybody wants to be liked, and when you’re in business, it’s even more important to win friends and influence people. Good social media is all about creating a buzz, projecting the right image and presenting the human side of your business. Did you know that we have monthly membership boxes filled with goodies to save you even more cash? Inquire within, as they say. Have you ever loved something so much you just couldn’t wait to tell your friends, colleagues or family…heck, tell the whole world about it? It feels good to share a great experience, but imagine how much better that would be if you got something in return. Referral programs are a great way to encourage and reward word of mouth recommendations, and to get your happy customers shouting from the rooftops. How’s your marketing going this month? What are your plans for the rest of the year? Oh, you’re not sure? You’re going to go with the flow? Being spontaneous and mysterious is great, but when it comes to marketing, it might not always get the best results. What your marketing needs is a little forethought, planning and a proactive approach. Business cards are a great way to make that all-important first impression. That amazing little piece of cardboard in your top pocket could make all the difference when wowing clients and schmoozing potential leads. The quality of your business card says everything about who you are, and is a great way to open doors to new business. In fact, our business cards are so impressive that they actually start conversations! So, you’ve decided on your branding and logo, and now it’s time to slap those designs on anything that doesn’t move, right? Woah, not so fast! Promotional materials cost money, and so it’s important to work out which materials are going to bring you the best returns. It’s also essential that you choose a graphic print house that offers high-quality design and printing. Bad design and poor-quality printing will do nothing for your reputation. Here at ClientRocket we just love the smell of the printing press in the morning, and we’d love to show you just what we’re capable of. There’s something just wonderful about opening a beautiful, freshly printed, glossy full color brochure, and it’s an experience that digital content just can’t deliver. We offer a wide range of premium quality brochures, booklets, catalogs and more, and give you the freedom to choose from a variety of sizes, paper weights and finishes. Post and rack cards are a great way to get more bang for your marketing buck! Fun, lightweight, and with lots of space front and back for eye-catching designs and engaging information, they are a fantastic way to get noticed. These small, but very effective marketing materials are just perfect for placing where there is a lot of foot traffic such as your lobby, waiting areas, convention stands, and wherever you can catch the eye of potential leads.